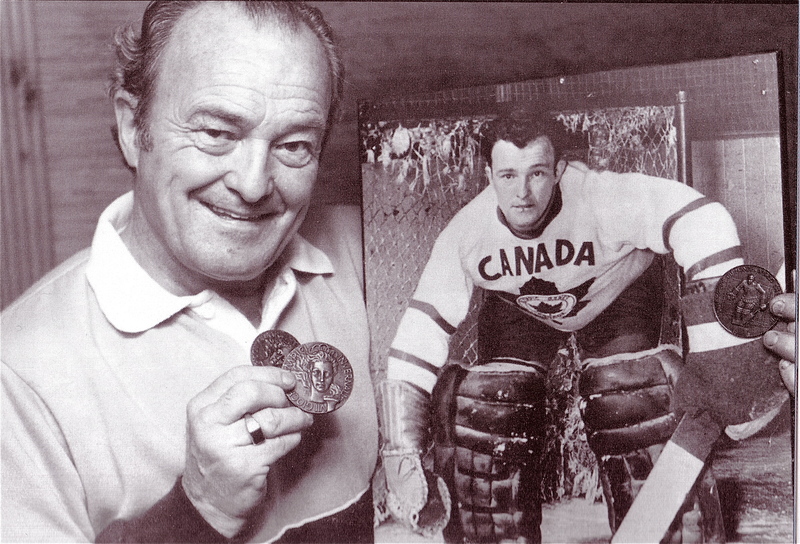 Brodeur père was stopping pucks for the Kitchener-Waterloo Dutchmen in 1955 when they beat the Fort William Beavers to win the Allen Cup and, with it, the job of representing Canada at the Olympics in 1956. Bobby Bauer was the team’s coach. On the outdoor rinks of Cortina d’Ampezzo, the Dutchies wore sweaters white and woollen with a green maple leaf on the chest. Also, toques. The Czech players and supporters sang their national anthem — with faces turned to the Soviet team — the refused to shake hands with their opponents. On March 28, when the teams met again, the Czech won 4-3. 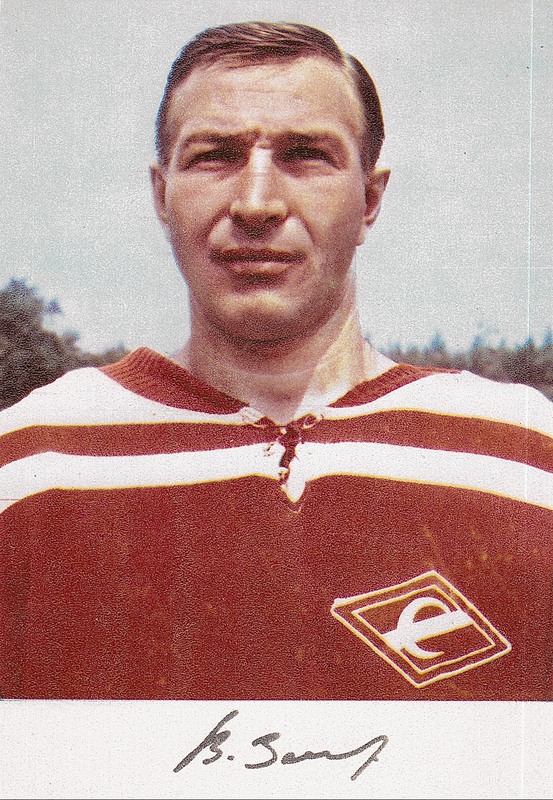 “Zinger didn’t play as well as Dzurilla,” said Soviet coach Arkady Chernishev, referring to Czech goalie Vladimir Dzurilla. One of the banners this time read, “We were not born to lose our country.” Unfortunately, when the hometown Swedes beat the Czechs 1-0, the Soviets still finished up in first. The disappointed Canadians skated over to the American bench following the game and congratulated the United States players on their performance. Russian players, who were among the spectators, remained impassive. Wild jubilation reigned in the American dressing room after the game. Happy players and officials danced around, laughing and singing. Even the absence of hot water in the showers failed to cool the celebration. Bobby Bauer went back to Keith Woodall after the loss to the Americans and he was in the net for the Dutchies’ final game against the impassive Soviets. They’d learned from their loss the previous year to the Penticton Vs, pronounced The Saskatoon Star-Phoenix, reporting on the game. “Shy of body contact in the 1955 final, they traded bumps vigorously with the Dutchmen,” and “their pass-patterns, while stereotyped functioned well enough to give them their margin.” With a team that included Vsevolod Bobrov, defenceman Nikolai Sologubov (“tagged by Canadian experts as good enough to play on any National Hockey League club”), with Nikolai Puchkov in goal, the Soviets won 2-0 and with that, the gold medal. An America win over Czechoslovakia left the green-leafed Canadians bronzed, in third place. Vsevolod Bobrov was the Soviet coach, of course, in September of 1972 for the Summit Series. Viktor Zinger was one of the goalies he brought, along with Alexander Sidelnikov and a young stripling nicknamed “Gosling” back at home because of his long neck. “If all other things are equal, goaltending will make the difference,” predicted TV colour commentator Brian Conacher ahead of the first game. Canada had Ken Dryden, Tony Esposito, and Ed Johnston; the Soviets had three question marks. Conacher noted that the last really great Russian goalie, Viktor Konovolenko, had been dropped for unknown reasons while the goalie who was supposed to start, Vladimir Shepovalov, was back at home with a knee injury. It was the next day before most Canadians learned the name of the 20-year-old goose-necked goalie: Vladislav Tretiak. Viktor Zinger was supposed to play the third game, in Winnipeg, in 1972. But: “He was not feeling well at that time,” coach Bobrov reported later, and Tretiak ended up playing the entire series.